WordPress.com inctoduced a new site logo feature just recently with the goal of standardizing the way themes present logo upload. When you change a new theme, you lose a logo. Although developers have a their ways of incorporating logo upload, it is not portable across themes. The new site logo feature lets you display the site’s title, and tagline along with the logo which will appear on any of WordPress.com’s supported themes. Future themes will comes with a site logo feature and WordPress developers are working to support previously released themes. Keywords in SEO are the individual words or phrases that users enter into search engines like Google, or Bing to find what they are looking for. 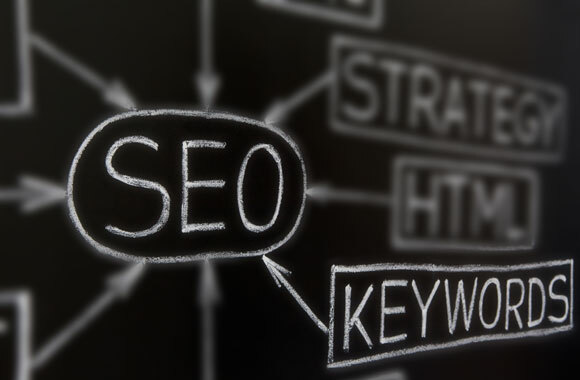 SEO keywords are usually one word, two words, and can even be a phrase. Different business and products have their own set of keywords that are relevant to what they are offering to their audience. Keywords are a crucial part in SEO, so it is important to be aware of the keywords you are using to your business. Keywords aim for search engine popularity. There are various ways to rank for a specific keyword, and deliver a more targeted traffic. When I began using WordPress for my blogs, I find that WordPress’ visual editor or the WYSIWYG editor to be easy to use, that the text editor itself. However, in my years of using the Visual editor it’s starting to slow me down. If you want to increase your productivity, these lesser known tricks can help you master WordPress Visual Editor and be more productive. For instance, did you know that there you can use keyboard shortcuts the same as when using a word processing software? And did you know that there is a distraction-free writing mode in WordPress? Search Engine Optimization or SEO is the practice of working to improve the position of your website in search engine results. Your goal is to let people discover your website first when looking for a specific item or asking questions related to your blog or business. SEO is an ongoing process and it requires constant attention. It isn’t something that your website doesn’t have, it’s just that there are several factors that determine whether a website is possible to get on high search engine rankings or not. This post will give you a quick overview of SEO, helps you familiarize with the concept of SEO, and what you can do to improve your SEO in your WordPress site. This post from wpshout.com is an inspiration from Brian at Post Status about How Much a Custom WordPress Website should cost. Throughout the post, Brian points out that pricing is hard and a website can truly make the most out of everything depending on the client’s needs. In this post, the author states not the costs involved in setting up a WordPress site, but the amount of work it takes to complete it. The author states that a website can take as fast as 2 hours to complete for up to 20 hours. This depends if you just want to setup a blog post, or run an online store. If you have a YouTube post and a WordPress blog, isn’t it too tedious and time consuming to create another post, right after you uploaded a YouTube video? What if you can automatically create a WordPress post as soon as you upload a Video on your YouTube Channel? In this post, we’ll show you how to do that using IFFT (If This Then That). IFFT is a powerful service that helps you automate certain tasks that are based on your specific criteria. Like in this case, if a new video is posted in YouTube then create a WordPress post. WordPress 4.0 Beta was released yesterday. This is a major release that comes with really cool features and improvements. Please note that WordPress 4.0 is still in beta, some of the features here might not make it to the final release. You can test WordPress 4.0 beta on your PC, Mac, or in a staging environment by using WordPress Beta Tester plugin. Plenty of post-editor improvements like the editor will now stick to the top, and it will resize itself as you write. Improvements in theme customizer. The widgets are moved in their own panel. Plugin install experience. Featured plugins are changed to show plugins in a nice grid. Unless you really have to, WordPress site migration is your last resort. This process is not easy. In fact, without additional tools to migrate your site to another URL, this is probably one of the most technical jobs an adminstrator can perform. Thankfully there are some great and free plugins that will do WordPress site migration for you. All-in-One WP Migration for example, is one of those plugins that made migration task a breeze. With this, or similar plugins around, you generally don’t need to do manual site migrations unless you really have to. But it’s still good to know a thing or two about it. Oftentimes, people who want to start their own blog ask the same old question: WordPress or Blogger? Aren’t we all over this already? It is obvious that you choose WordPress over Blogger as it has plenty of customization options, enhanced security, and because of plugins. All of which aren’t available in Blogger. If this isn’t enough, WPBeginner covers the pros and cons of WordPress and blogger. Take note that this only discusses the difference between WordPress and Blogger is a self-hosted platform. One advantage of Blogger is it’s self hosting as you’ll only pay for a domain name. If you are looking for a way to bring in site traffic, then you should consider guest posting. Guest posting is a great way to gain exposure for your website. If you do it right, you can substantially increase your relevant and targeted traffic. Your visitors can turn into potential customers and clients if nourished properly. Guest posting involves writing an article or blog post to the same theme or topic of your website or target website. At first glance, writing an article for others to gain benefit from seems like a waste of time because most of the credits go to the publisher, however, if you blog needs attention, Guest Posting is just what you’ll need. SEO or Search Engine Optimization is a strategy wherein we use keywords, links, etc so that our site will get noticed by searched engines, and put us on top of search engine results. SEO, at first, sounds complex and difficult to understand. With so many myths and theories out there, it’s no surprise that thinking just of the word SEO lures away most WordPress bloggers. Like all strategies, it all comes down to the basics. Three are a few principles that are simple and easy to understand. Understanding the basics will let you understand the whole concept of SEO. People often mistake #wordpress as only a blogging platform like Blogger and Tumblr, however, WordPress is not just a blogging platform. WordPress is not just a blogging platform. It is a #content management system that can help you create a simple blog or a website depending on your needs. WordPress is a flexible platform and can easily adapt to just about anything. This is also the reason #why wordpress has gained so much popularity. Did you know that 22.5% of the websites all over the world is powered by WordPress? Due to its robust features, WordPress has been used by top brands like Sony, Disney, The New York Times, eBay, and more. Still not convinced? Read all about it on wpbeginner.com. But no. WordPress is really free. Free to download, install, and you are also free to modify the software itself to better meet your business’ needs. However, that doesn’t mean that you won’t pay money to your site to keep it running. There are also associated costs in running a WordPress site, or any website for that matter. If you have spend much time around #wordpress, then there is a good high probability that you have come across the term “WP_Query before. However, if you are totally new to the concept, then let us guide you through it. WP_Query is a #php class that has certain properties but it contains a lot of powerful behavior. Some of the things you need to understand about WP_Query is that by default, when you just say new WP_Query, you don’t get much use from it. Rather, you get most of the value from WP_Query from understanding how to initialize it correctly. #wordpress is one of the most popular CMS in the world that has taken interest not only to blog owners, but companies and enterprises themeselves. As a veteran in the platform, it is easy to forget that there are new users of WordPress everyday. As someone who writes about WordPress for a living, it is frustrating to see errors and mistakes that most newbies are writing about, like the style of the writing and how each content make sense, worthy for anyone to get a good grasp on. This list a a cheatsheet for newcomers and veterans of WordPress to quickly address some of the most common mistakes we make when writing about WordPress. If you want to get noticed on the web, create a high quality dynamic content. it is the best way to keep users coming to your blog. However, if you’ve just launched your website and want to gain traction, writing a high quality and dynamic content can be a daunting task. There are a number of ways other than creating a high quality content. You can also use social media, write blog posts regularly, comment or reply to comments, advertise, etc. In this post, we’ll show you the 5 effective ways to market your blog and gain the traction you need for an excellent head start. Landing pages are used by marketers to help capture leads or as a click-through so that traffic is funneled to another page. These are also used to sell a product directly to your visitors without the need to browse for a certain product or service. Landing pages are usually separate from the website they are hosted. They rarely us the same design as the website that sits on the root of the domain and there are hardly any navigation menu that links the landing page to the site and vice versa. Have you noticed that sometimes incorrect post thumbnails are showing up when you share articles in Facebook? Many WordPress users have been complaining about this, and sadly, this issue has not yet been fixed. Why is Facebook not picking up the thumbnail image? There are many reasons that Facebook prevents from correctly guessing the right thumbnail image. One common issue is having multiple images set in the og:image tag where the features image is smaller than the rest of the image. Other issues are caching plugins, CDN issue, missing open graph meta tag, etc. It is hard to guess what is causing the issue as there are no specific error messages displayed in the debugging tool.